There’s no doubt that dining and cuisine play an important role in Lowcountry living. Why not dine in style with relaxing hues of blues and neutrals that create an inviting and comforting atmosphere? 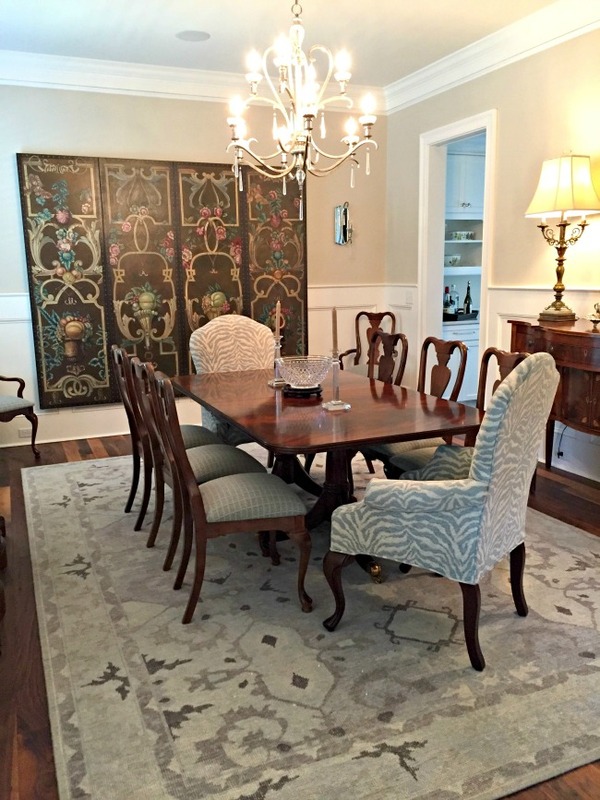 Designer Mary Ann did just that with her recently finished dining room makeover for a lovely client on Daniel Island. 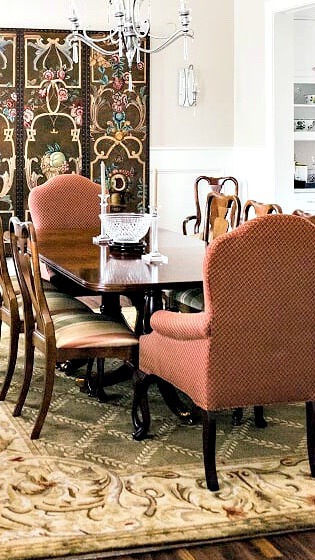 As a beautiful space with timeless furniture, Mary Ann focused on giving its surroundings new life. 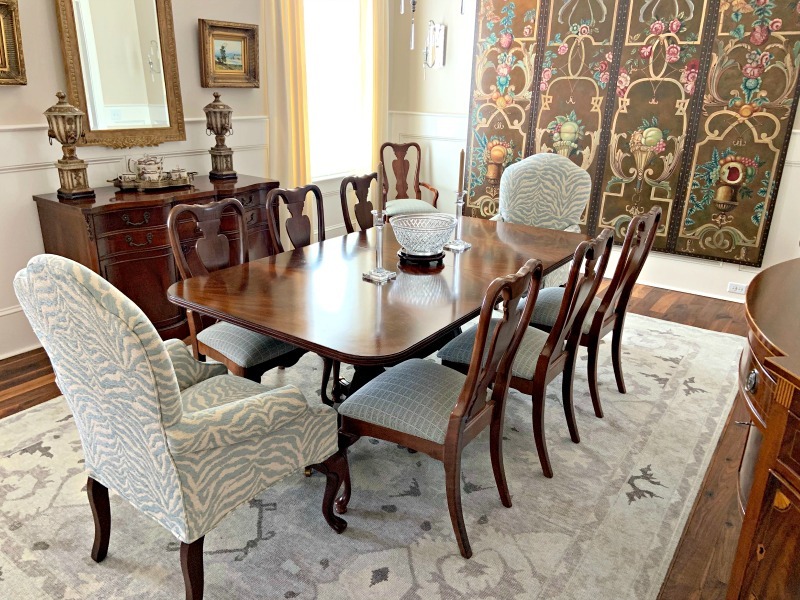 Mary Ann updated the design keeping the softer colors of the hand painted screen in mind. 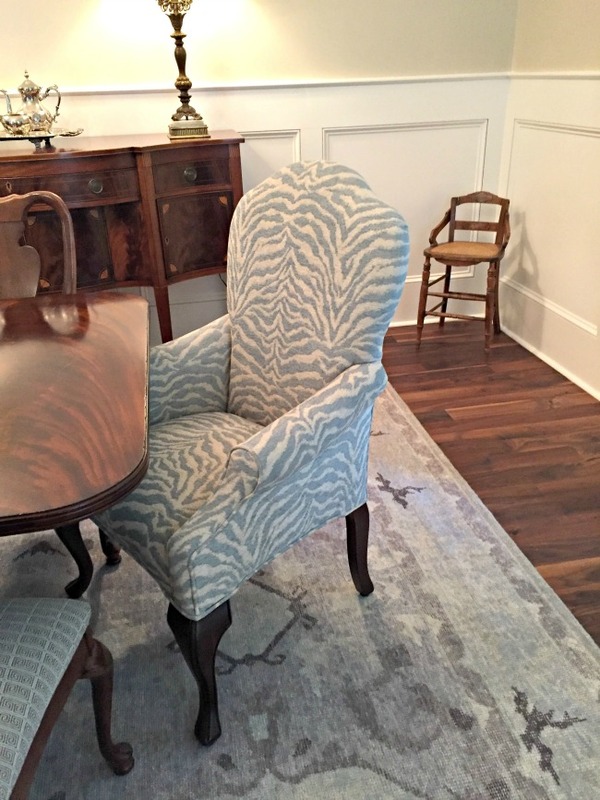 She chose blues and neutrals found in the new area rug, upholstery fabric for the dining room chairs, and fresh, neutral curtains. 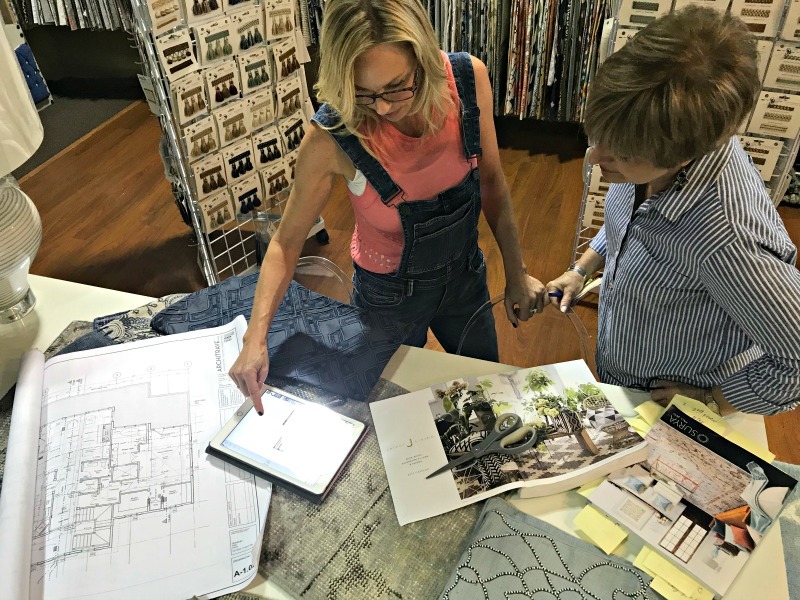 If you’re updating a dining room or any space in your home, we’d love to help you select the best fabrics, upholstery and decor to feature! Contact Mary Ann or any of our designers today to get the process started.